If you haven't noticed, PINK is coming in hot this spring, in both home decor and clothing. 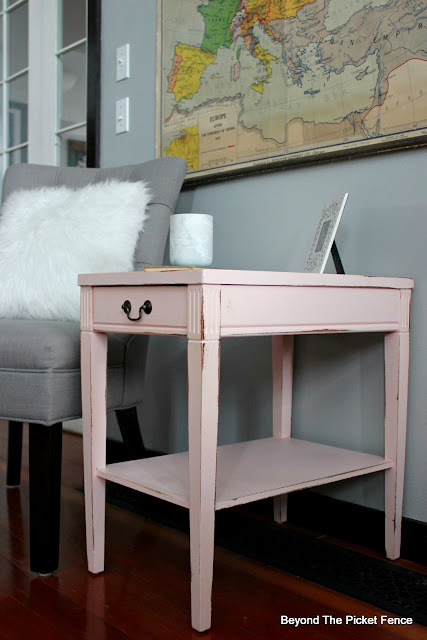 I have seen so much of it--a lovely blush pink. Happy Sunday! Tick-tock, tick-tock, raise your hand if you know anything about watching the clock in the middle of the night while ruminating on the world's problems. There is certainly plenty to worry about. I have heard a lot of fearful talk lately--moms who want to take their kids out of school, people who want to move to other countries, folks who are buying weapons in bulk. Please hear me when I say, I GET it. Life is hard and scary and sometimes the unimaginable does happen. I say this knowing a bit about when bad things happen, having had my baby son die in my arms. I understand fear and worry. But, I also know God did not create us to worry. He does not want us to fret over things that we have no control over. He wants us to trust him. We cannot hide from the horrible things, but we do not need to be anxious about them either. 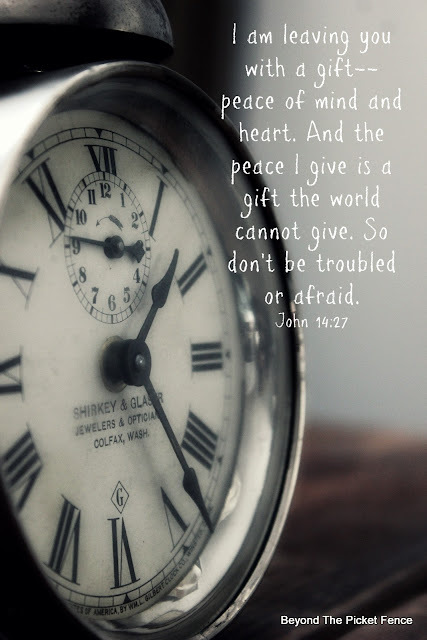 Give it to God, over and over if necessary, and rest in HIS gift of peace. 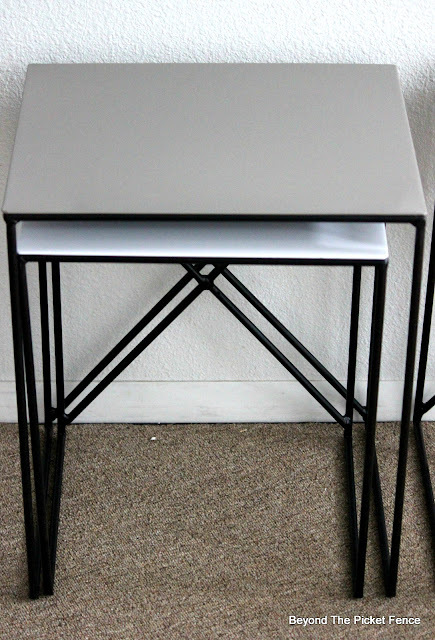 Today's thrift store upcycle is one that is unique to a great thrift store find that I had. BUT, the idea of using thrift store clothing can be used for YOUR thrift store finds. I found this rattan, wicker footstool a few months ago. I grabbed it because it was solid and I could tell it was old (more on that in a minute). 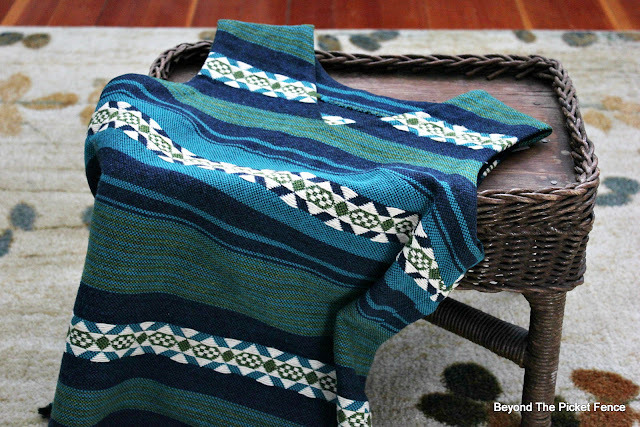 I found the wool tunic/vest this past week (okay, yesterday) and loved the colors and design, could see that it was high quality and feels like wool, and knew it could be upcycled into a pillow or upholstery. I can see some poor little one itching themselves to death in this tunic. I also picture the Partridge Family in white turtlenecks wearing these and singing I Think I Love You. 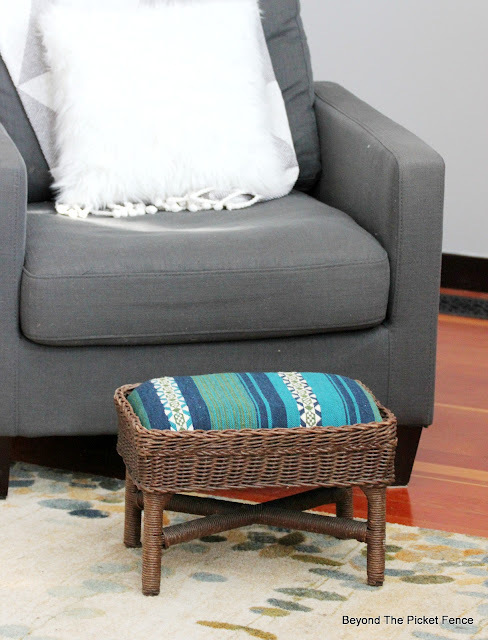 Together they became this rustic, boho, cabin-feeling footstool that I adore. 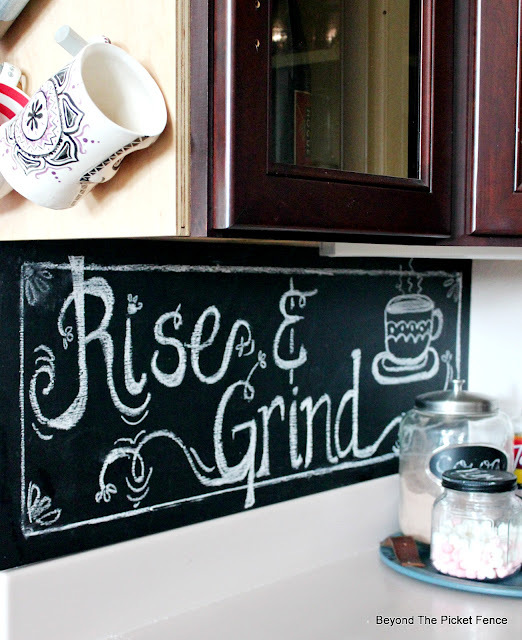 I love my temporary chalkboard wall. It is easy to change up every two or three months when I want something different. Happy Sunday! My daughter participates in both indoor and outdoor track. There is just something about track athletes that I love. They are so incredibly supportive of each other. They compete with themselves, but cheer each other on wholeheartedly. God has created each of us uniquely and individually. 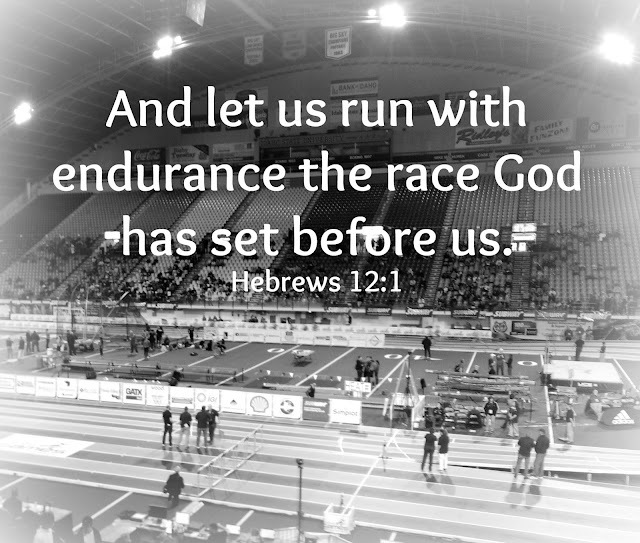 He has a race for each of us to "run", our own individual paths. 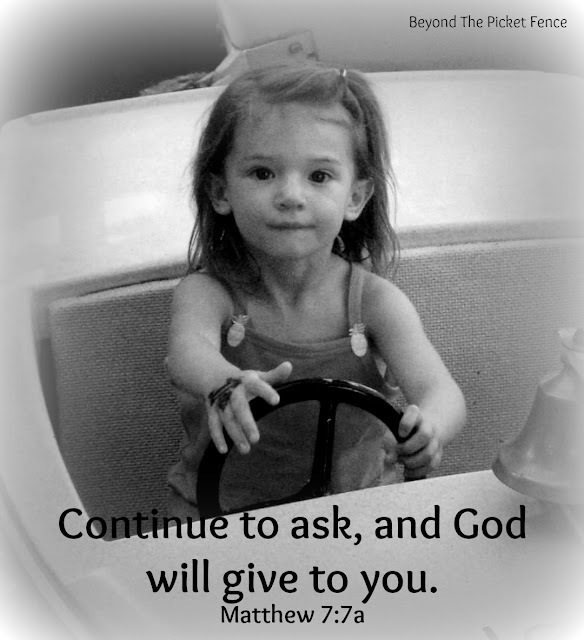 He made us to do our own best thing, to use our distinctive gifts to help others--no competition necessary. He wants us to develop our specific talents, to follow our own arrows and to keep moving forward on the track HE sets before us. I am on the road for my daughter's indoor track meet and a thrift store makeover did not happen before I left. 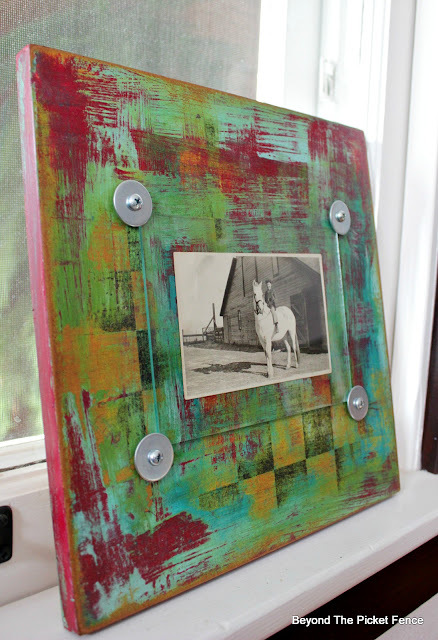 I am sharing a favorite past thrift store project--painting wood bowls. 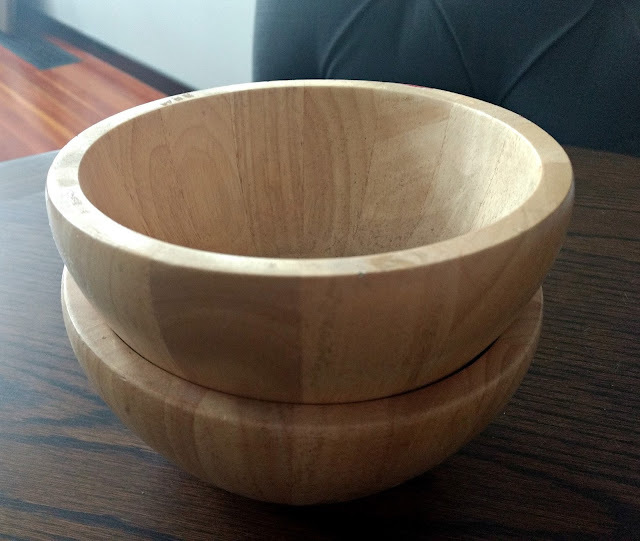 I always look for good wood bowls at the thrift store, they are plentiful. 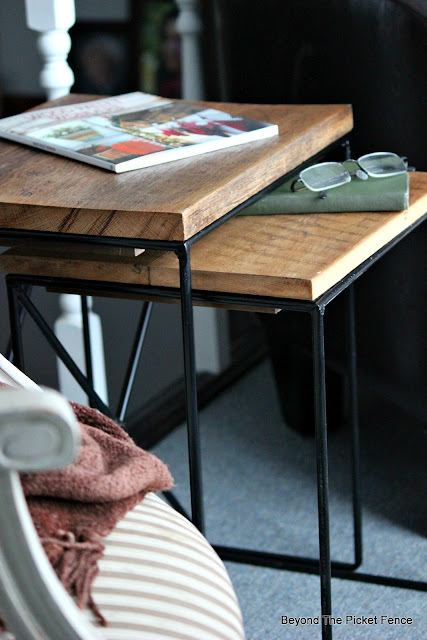 I spied these nesting tables on our local Facebook garage sale page and was shocked when I actually GOT them because typically I am the tenth next when I see something I like. I actually got two matching sets for $15 total. 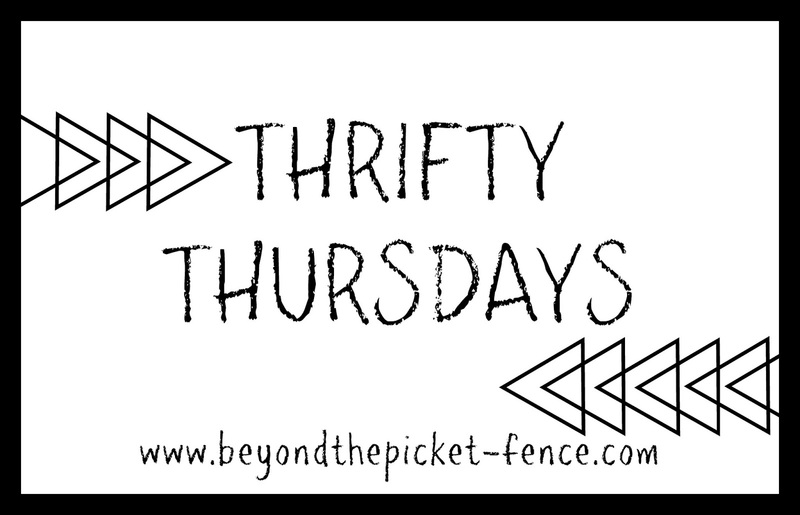 Today's Thrifty Thursday project is a bit funky, a bit boho, colorful and I am kind of in love with the results. I wanted something that had layers of colors, but also wanted the checkerboard to peek out. Happy Sunday! Water cutting through rock, changing it gradually is a natural occurrence that is beautiful and really quite amazing. I mean, it is ROCK--solid, tough, hard, and something we think of as unchanging. 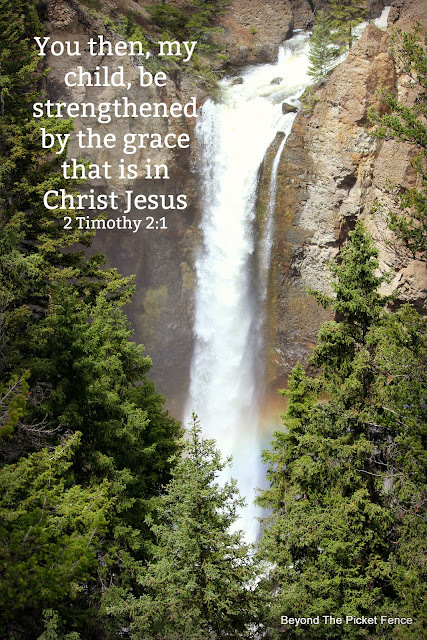 Grace, God's unmerited favor, changes us. Grace is God saying, "You are my favorite. I love you and I want to be closer to you, to strengthen you, to help you." Grace is NOT about making us feel horrible and guilty, it doesn't point a finger. God doesn't give us grace so he can use us. Grace allows us to have a relationship with Jesus, to walk and "hang out" with him. I am grateful that as I get closer to God and spend more time with him, his grace strengthens and changes me bit by bit . 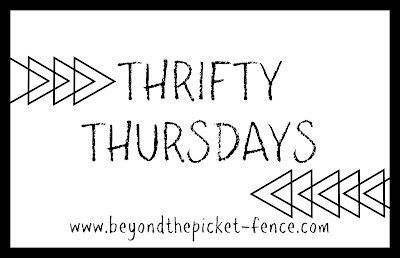 It has not been my plan to make all of my Thrifty Thursday projects from something round, but, well, er...next week I will think square! This week's project starts with round, wood plates. 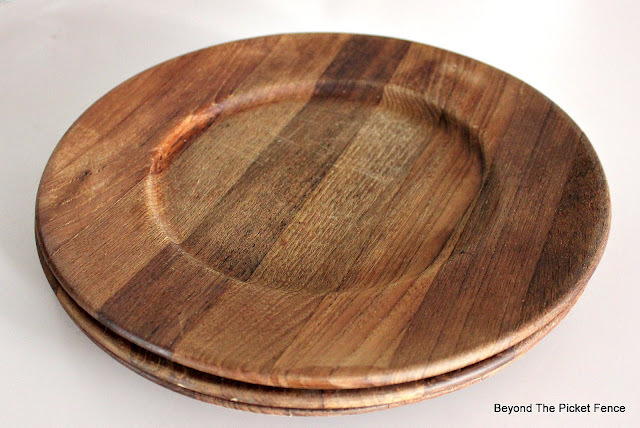 These look like they were used for actual plates, but I I often see wood chargers at thrift stores. 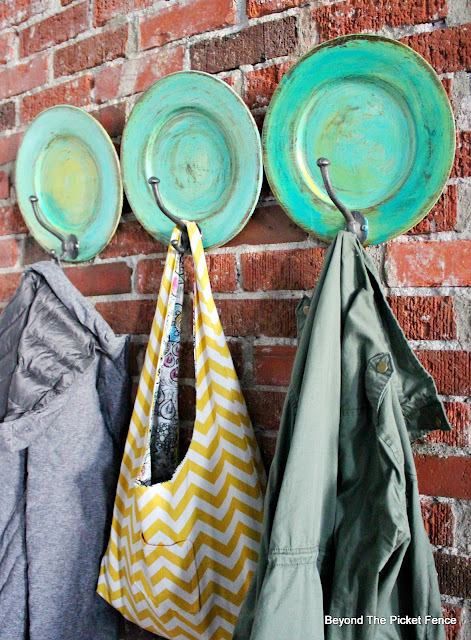 I though of a lot of different projects to upcycle these wood plates, but decided on a colorful, fun coat hook.